Air Conditioning | The premiere Volkswagen (VW) , Audi, SEAT and Skoda Specialist Garage Service in Milton Keynes! Healthy air conditioning doesn’t just keep you cool, it also reduces the chance of you becoming irritable. So keeping your air conditioning system clean, efficient and free from fungal bacteria will keep you fresh and healthy whilst driving. 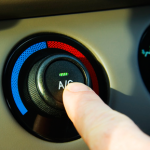 AJ Autos specialises in regassing and air conditioning treatment.